Stylish sleeveless frock from the house of Beebay. 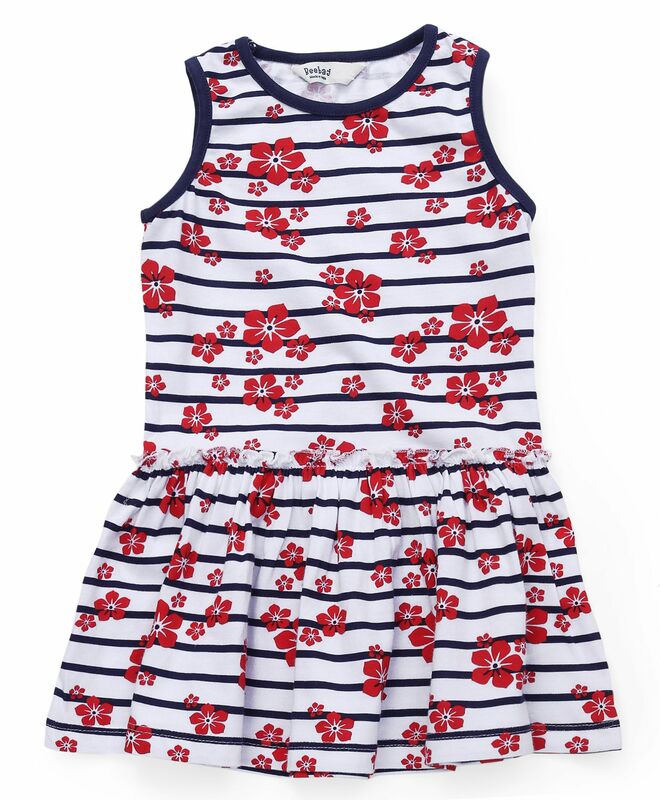 Trendy striped base with floral print, gives this regular fit frock a stylish look. The gathered wait style, adds to the cute look of the frock. Pullover styling, helps in easy dressing. 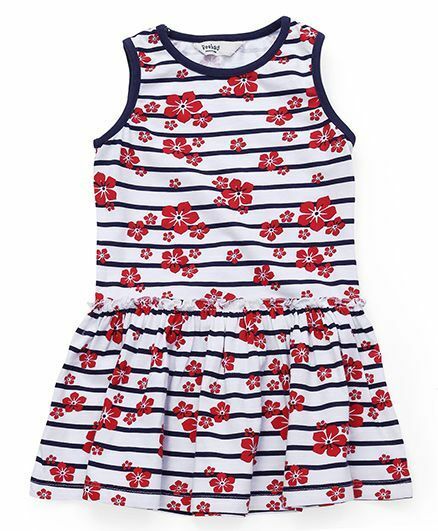 Made from soft fabric, this regular-fit sleeveless frock ensures optimum comfort to your darling daughter all day long. Styling Tip: Pair it up with sandals and hair band. Note: To confirm sizes please refer to the measurement link available at size chart above.